Since their initial release, I’ve enjoyed the blends Fratello Cigars have put forth. Omar de Frias has utilized tobaccos all over the world to create complex and harmonious blends of excellent quality. Over the years I have been fortunate enough to smoke the Fratello lines and needless to say I was really looking forward to the Bianco I blend and what it had to offer. The Fratello Bianco I is a dark toothy Maduro with some substantial veins along the sides. 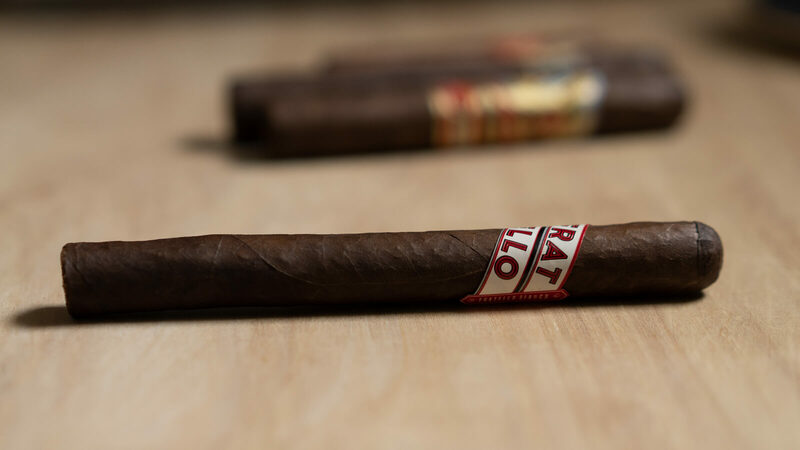 The classic red and white label adorns the cigar like a sash. Construction wise, the cigar is well rolled and has some springiness to the touch, but not too soft. A nice sized smoke in hand. As I lit the Fratello Bianco, the first few puffs greeted me with a touch of spice balanced by coffee and earth. The draw was effortless and a nice billowing of smoke came through. On the retrohale there was spice and wood notes that enhanced the senses without overpowering them. For a Maduro wrapper the subtlety was impressive, most likely due to slow and delicate fermentation which embues richness not harshness to a Maduro leaf. Midway through, the Fratello Bianco became rather toasty with more café and a graham cracker finish. As the cigar progressed the ash and burn became dark gray. The smoke then developed a raisinated sweetness of wood and earth. The spice also increased on the finish and lingered on the tongue. At this point the cigar continued to burn stellar, a compliment to its construction. 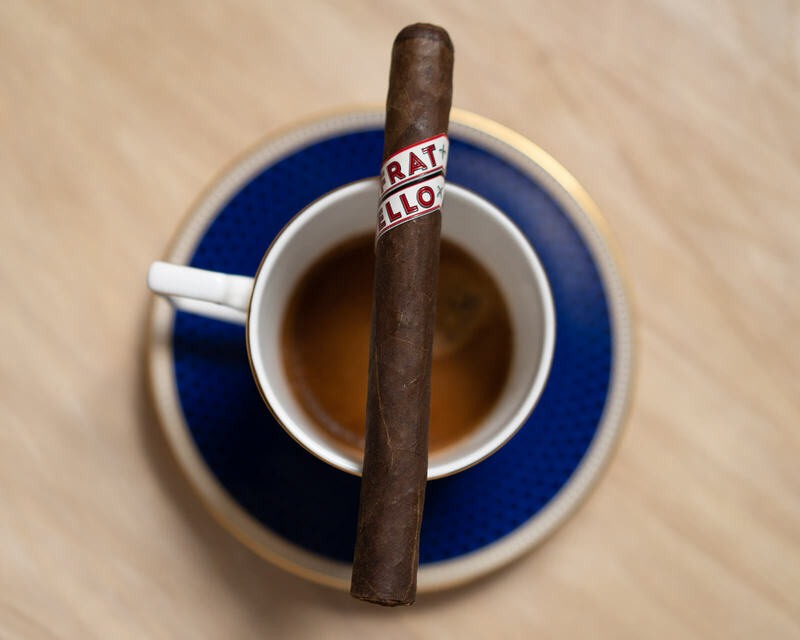 The last third the Fratello turned to savory notes of leather and cream. I picked up more café at this point with an interplay of wood reminiscent of an oak barrique wine barrel. The burn continued to be spot on and the leather notes built up. The finish left me with an earthiness and more leather along with a hit of lush tobacco. The cigar finished just as dynamic as it begin. A quality smoke. The Fratello Bianco I underscores what flavors a well crafted Maduro cigar can yield. The cigar transitioned from earth, coffee, toast and leather providing a wonderful complexity. Omar continues to demonstrate how to craft a cigar properly from processing the tobacco to its blend and construction. *reviewers note: this is a non-blind rating.